SDS are often asked in demonstrations and tenders, whether Stock Profiler can share the calculated NPV and other outputs with GIS? Stock Profiler can export all the calculated output data held in the ‘Results Numbers Grid’ to a CSV or flat file at any time. This data can be imported into different systems including GIS. 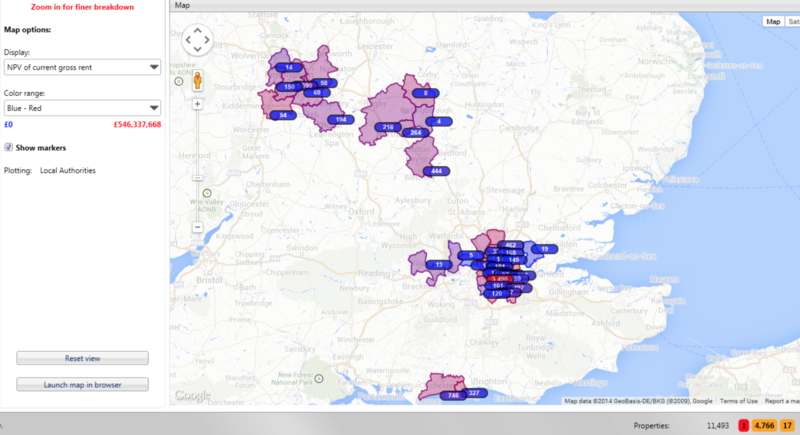 GIS is used within Social Housing, and other sectors, to communicate the organisation’s opportunities and risks over their operational geography by visualising datasets from across the organisation on a map. The use of GIS enables insights and inferences to be made to optimise the performance of the organisation, its assets and its interaction with stakeholders. At SDS we are great believers in broadening the accessibility of data to the wider organisation. SDS Stock Profilers’ core functionality enables the calculated outputs to be exported at a property (UPRN) level. Data including NPV, Current Net Rent, NPV Alternative Net Rent, Open Market Value, Net Book Value and Profit on Sales can be used alongside other datasets to create heat maps in GIS. By providing wider access to all the organisation’s information, this empowers employees, management and board members to better understand their business, to make informed decisions and improve the product and services to all stakeholders and customers.